Austin real estate at an affordable price for buyers? For Sterling Custom Homes, it’s about keeping the building momentum going. And they should know. For more than 20 years, the Austin area builder has been helping new home buyers design their custom dream homes. And, it was those years of experience and knowledge that helped the home builder create the Sterling Cookbook™, a tool that simplifies the process of new home construction while building momentum and making financial sense for new home buyers. Often, home buyers aren’t sure what exactly is expected of them during the home construction process. 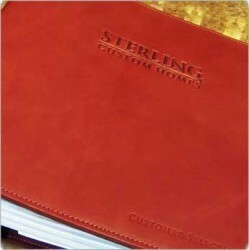 The Sterling Cookbook™ gives buyers step-by-step information on their roles and responsibilities during construction, from making selections to meeting with trade partners, the approval process and care of the completed custom home. Austin home builders with new homes in communities across the region including Barton Creek, Bellagia Estates, Caslano, Flintrock Falls, Lakeway, Mirador Drive, River Place, Rough Hollow, Seven Oaks, Spanish Oaks, The Bluffs at Steiner Ranch and The Reserve at Lake Travis. Sterling Custom Homes website or call 512-263-2214.